Don Cheadle or Terrence Howard? Mine is definitely Don Cheadle. 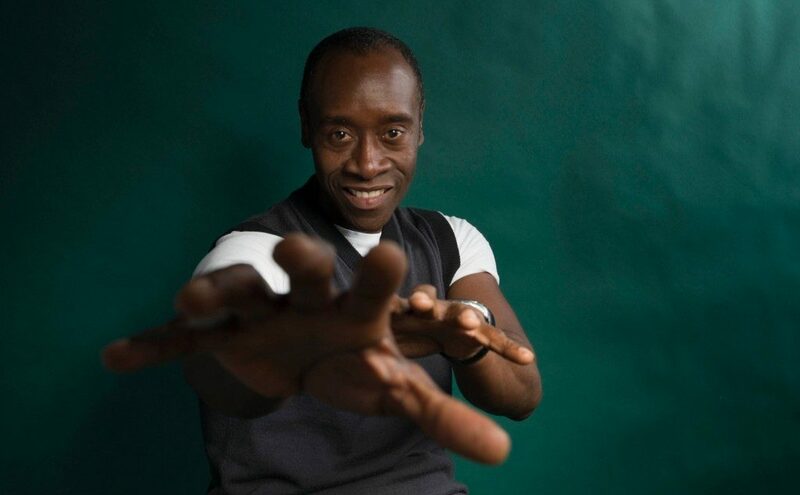 And at 54 years old, Cheadle is looking great for his role as our superhero. 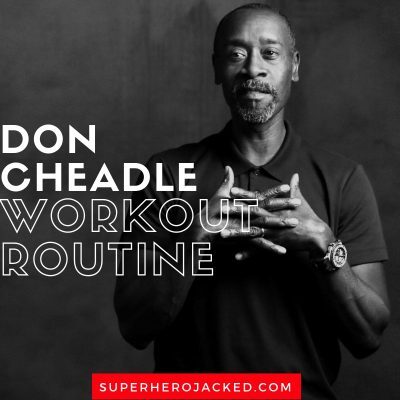 Cheadle has starred in roles like Crash, The Guard, Hotel Rwanda (which was when I first saw him), Traitor, Ocean’s Thirteen and so much more. 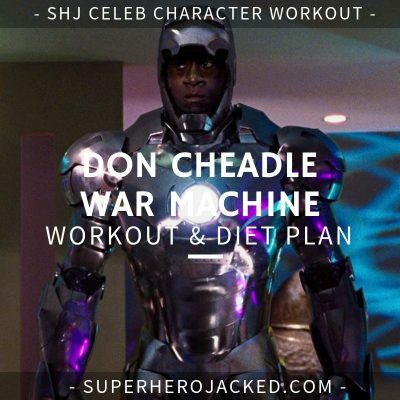 But, if you’re here at Superhero Jacked you may know him from his first appearance as War Machine in Iron Man 2 when he was just Lt. Col. James “Rhodey” Rhodes. And that’s damn fine too. 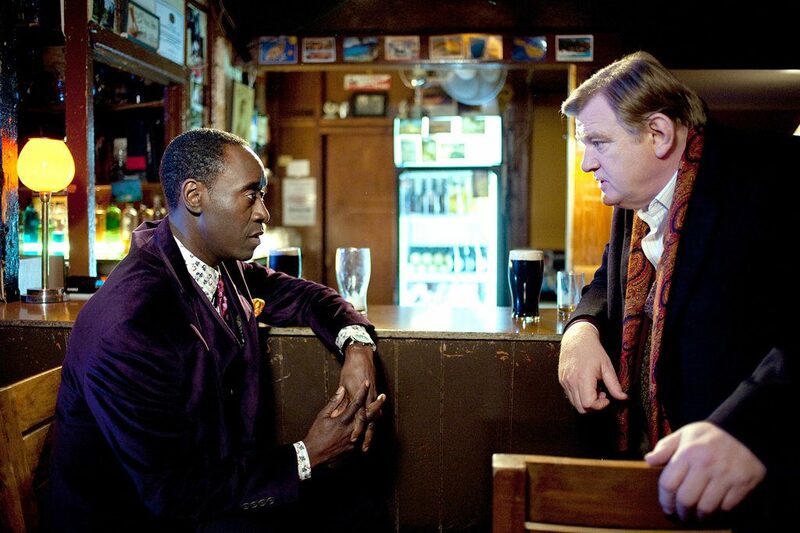 Don Cheadle is actually quite short. He falls in one of the shorter categories among celeb men we’ve seen at SHJ. 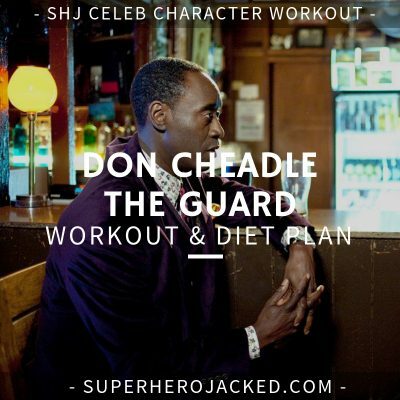 Don Cheadle is an advocate for controlling your diet, but he also prefers a sustainable one. And in an interview with WebMD Cheadle gives us a TON of information we’ll be utilizing for his diet section, and workout routine research. What’s your best health habit? I don’t drink soda. I stay away from that. The worst thing I do is work 14-hour days and then not get enough rest afterward. That’s the most insidious thing. It tears you down. You get sick and you can’t get better. That’s a bad habit – not getting enough rest – so I try to be really mindful of that. Do you make a point to eat healthy meals? I stay away from grazing the food on set, and I stay cognizant of what I eat. What is one of your guilty pleasure foods? Bacon definitely falls into that category. Which is some pretty good advice and information. Do you have a health philosophy? Vanity helps, especially if I have to be naked on set. But I’m not sure that that’s the best prescription [laughs]. To live a healthy life takes discipline. It’s a matter of how you eat, of how you rest. 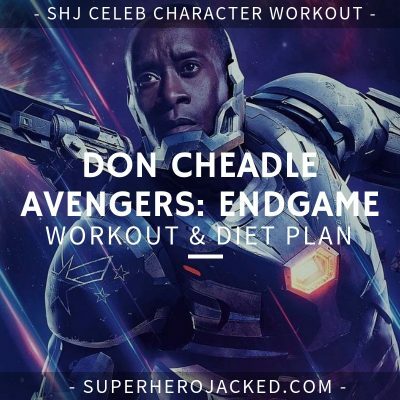 When it comes to working out, Don Cheadle has a lot to give us as well. 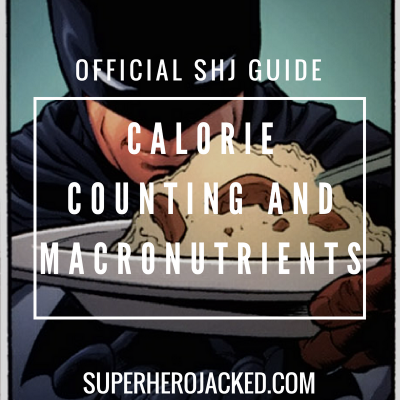 He knows a good majority is coming from your nutrition, but he also isn’t a stranger to the weight room. 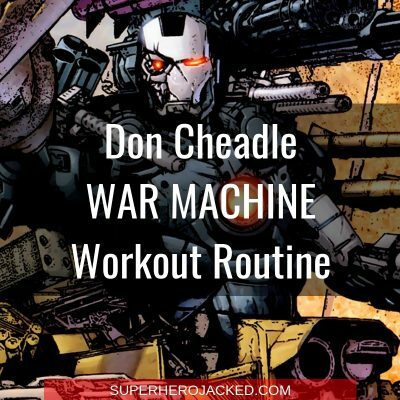 How did you prepare for your role as War Machine? 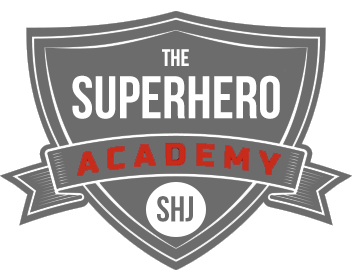 Did you undergo an intense workout routine to become a superhero? 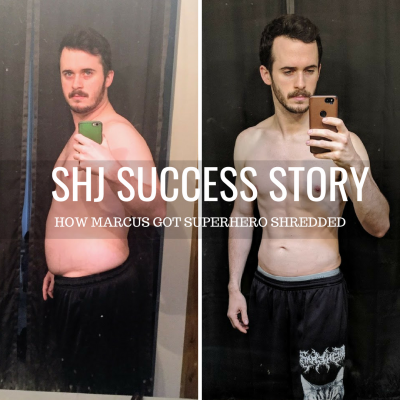 You do have to get in shape for superhero movies, but I was lucky. I’ve had a lot of roles that I had to hit the gym for, so I already knew my way around the weights. What do you do to stay fit on a day-to-day basis? Do you have a regular workout that you stick to? I have no groundbreaking moves that I do. I bike, I use free weights, I do Pilates, and I use a reformer [exercise equipment]. 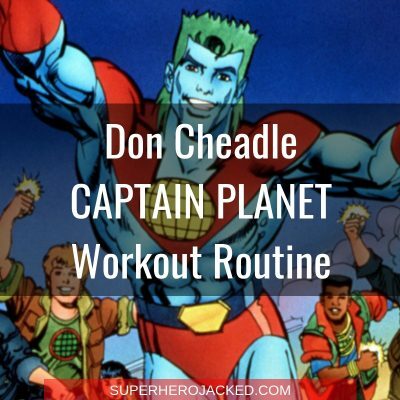 So, nothing crazy, but probably semi-typical workout programming. What’s one thing that you know about health now that you wished you knew 20 years ago? For three summers after college, I’d play basketball for 6 hours a day. I wish I had known that playing basketball every day would wear my knees out. My health has always been a priority, but I definitely appreciate it more now. I’m much more mindful of it now. I think we’re ready from there. No groundbreaking moves. That’s what Cheadle says. So we’ll be hitting the weights 3 days a week and then either biking or doing Pilates the other 2+ days per week. 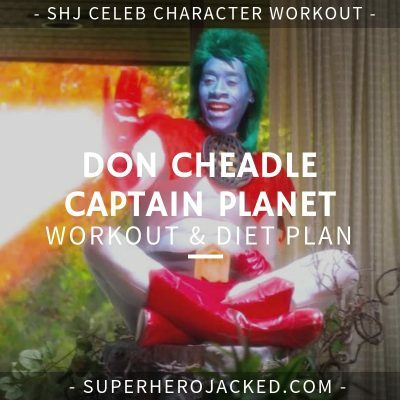 Cheadle says he likes to bike and also utilize Pilates in his workout routine. Today you’re doing either or…or even both! Hit a Pilates workout on YouTube or a class – or hit the open road on a bike. Oh, or just do the bike at the gym for some HIIT training for 20-30 minutes or some long distance steady 30-60 minutes.